1 Where are steam traps usually located? Very close to the ground? 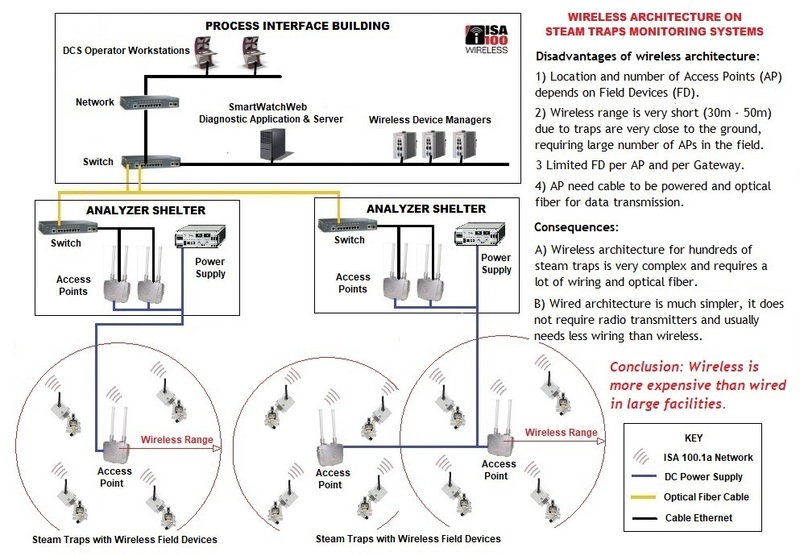 3 How does the ground & obstacles affect wireless range? Transmitter proximity to the ground limits its distance range to less than 50 m.
4 Is wireless cheaper than wire monitoring? Not always. It depends on steam traps distribution,..., e.g., wire is less expensive in refineries!! 12 Is there any limitations in wire monitoring? None. A single system can handle thousands and thousands of steam traps. The SmartWatchWeb™ steam traps monitoring system combines innovative technologies (digitization, sensorization, acquisition and data processing, ...) to perform accurate real-time steam traps failure diagnostics in order to achieve 10% to 20% steam saving by appliying the Intensive Maintenance Methodology on huge population of steam traps. 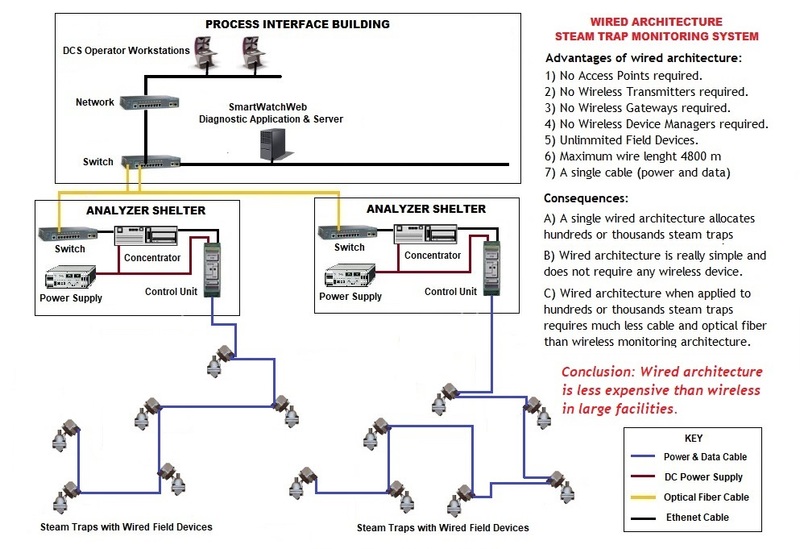 SmartWatchWeb ™ is the only proven monitoring system with enough scalability to monitor thousands of steam traps. See more than 60 success stories in more than 20 years. 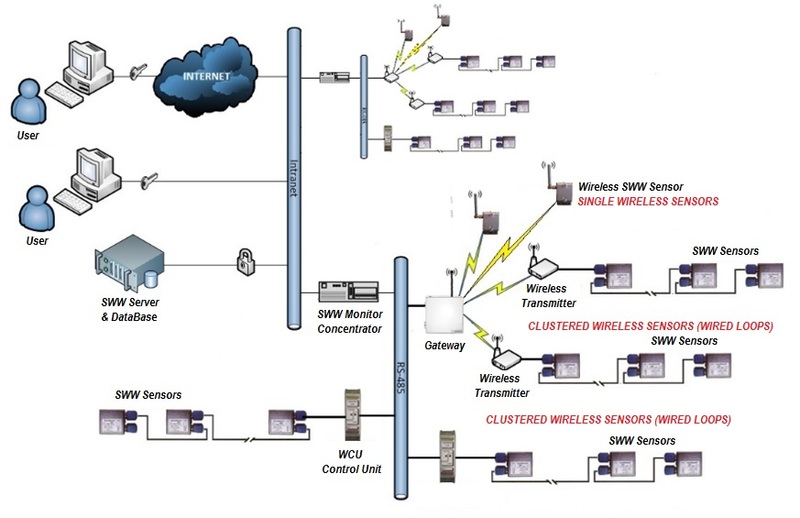 SmartWatchWeb™ offers extraordinary flexibility by combining wired & wireless architectures to easily adapt to any industrial environment. Its high scalability allows monitoring tens of thousands of steam traps in a single monitoring network and platform, reducing installation costs and maintenance.